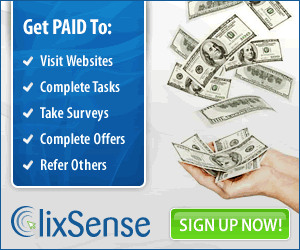 Here is another Tip to get Huge amount of Traffic for free. Yes, Its Reddit and its here. Many of you don't know about this method and how Super Easy it is to get traffic from Reddit and I will discuss within few minutes that how you can also get it. I was doing some research on Reddit and find out that this is a Hidden Secret to get Tons of Free traffic to a Website. So without any further delay, let me describe how to get started. Reddit is a Picture sharing website where you put Unique pictures and put proper description. If people likes your picture then they will rate up your pictures. Now as many as you get Up vote, your picture will start showing on the Front page of Reddit and from there people will come to visit your site. You can't imagine how strong it is that for the huge amount of traffic many people's server goes down sometimes :) . Now one good thing about Reddit is that all the Pictures are unique. You hardly find any repeated image in Reddit. So you have to check first whether your image is on reddit or not. To do so, you need few websites to check. 1. Karma Decay: Karma Decay is a website from where you can find that the picture you want to post is already on Reddit or not. Because if you post any image that is already on Reddit, then reddit might Ban your account. Step 1: Simply go to Karma Decay. Step 2: Click on 'Choose File' and Browse the picture from your PC/Laptop that you want to upload. 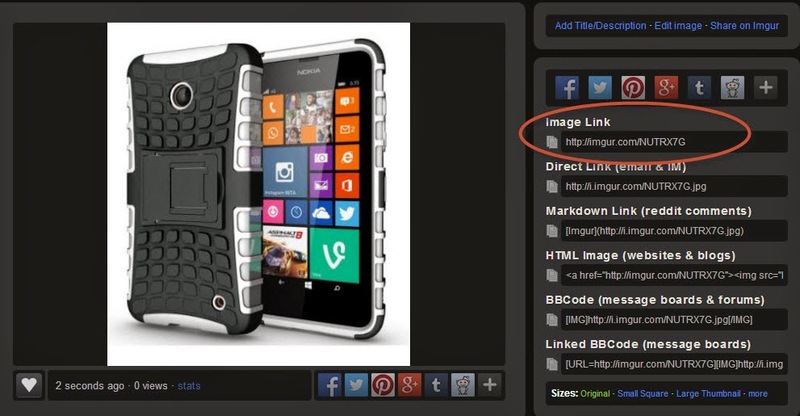 You can also put the image url if you want to upload image from any website. Step 3: After Choosing, Karma Decay will Automatically upload the Picture and will show you that the picture is already on Reddit or not. 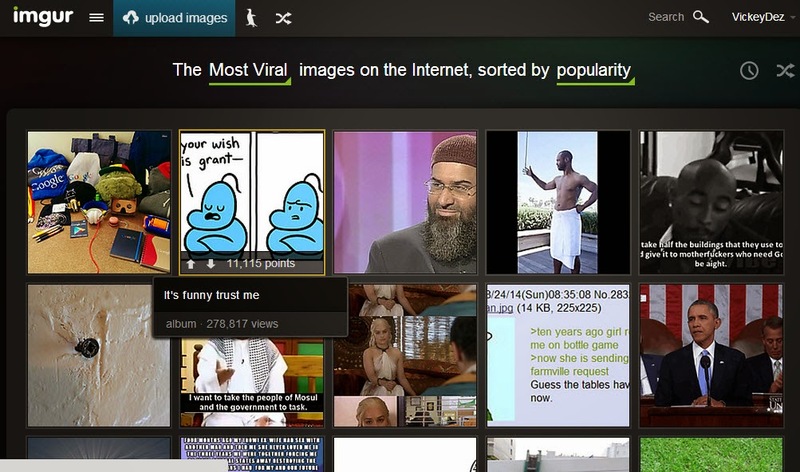 Step 4: Go to imgur.com and signup for an account. Step 5: Now hit the Upload Images button on the top and a popup upload window will open. Choose the picture you want to upload , then Simply click on the Upload Button. 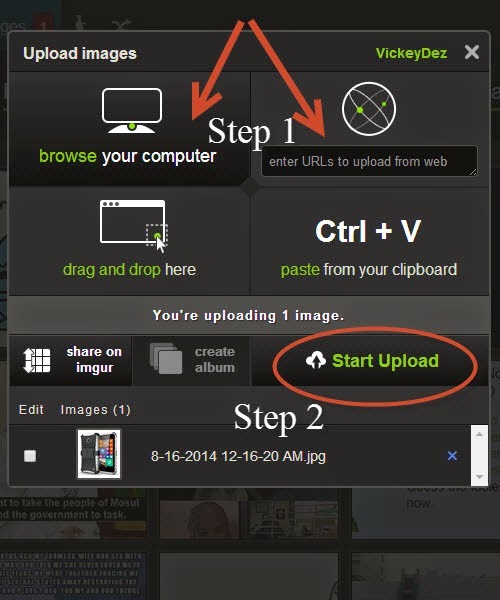 Step 6: After the Uploading is finished, the image will showup along with the URLs, now copy the URL you want to upload. 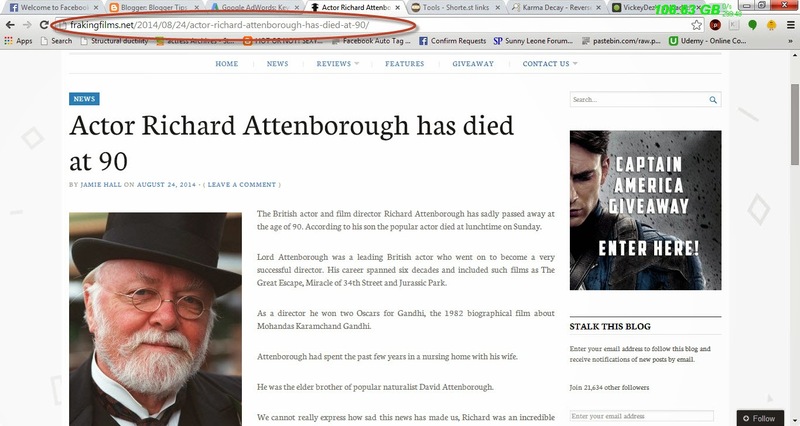 Step 8: Click on the 'Submit a Link' on the right hand side of the site. 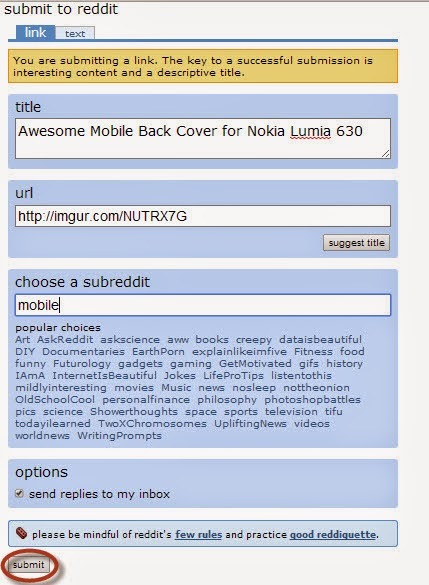 Step 9: Now in the next part, put a Catchy Title, URL that you copied from imgur and put a sub reddit(tag) and hit Submit. Step 10: After You submit, it will show up under the subreddit you have chosen. Now each time some one will like the picture, the will Hit up vote for the picture and your image will become popular. How will I get Traffic? Each time your picture on reddit gets a Hit up, you will receive Link Karma. The more hit up, the more link karma. So always try to put some Eye Catching Images. Do exactly the Process show above and Collect 150 Link Karma. After you have reached the 150 mark, you can upload your Blogger/Website Direct Link. But remember, DON'T post direct link of your website until you reach the mark or else you will get banned from Reddit. See, this guy posted a Link only 6 hours ago and look he receive 4521 Hit and on the right hand side you can see his Website link. So if you click on the post, it will directly go to the post owner's website. So imagine how much traffic this guy is getting only from this post. So that's it. This is all I wanted to show you. A easy and useful way to get Massive traffic to your website/Blog. This is the end of the post about Reddit Massive Traffic Source - How to get traffic to website , keep posting and keep increasing your link karma and get massive traffic. If you have any Doubt then feel free to Ask. It is indeed very important to monitor your web traffic since it can be considered that an increase in web traffic will likely increase your sales.